Yesterday the House Ways and Means Committee held a hearing on the state and local tax deduction and municipal bond interest exemption. The state and local tax deduction, a provision that allows individuals to deduct certain taxes they paid to their state or local government from their federal taxes, didn’t get as much attention as the municipal bond exemption, but still elicited one interesting comment from Congressman Charles Rangel (D-NY). 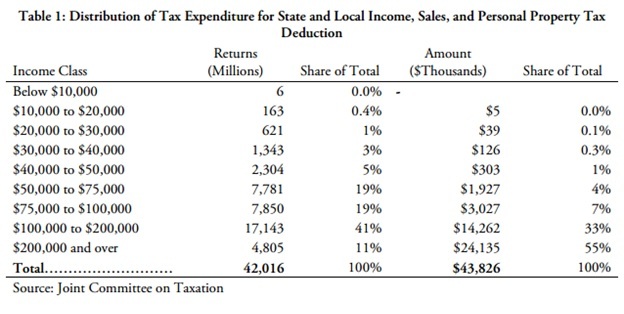 In response to a claim by the Tax Foundation’s President Scott Hodge that the state and local tax deduction gives the largest subsidy to the riches states, he argued that since New York contributes a disproportionately large amount of income tax revenue to the federal government, the citizens of New York should be able to benefit the most from these special deductions. This is a bizarre comment coming from a man who lambasted Mitt Romney and other wealthy people for not paying their fair share in taxes due to special tax provisions that benefit the wealthy more than anyone else. 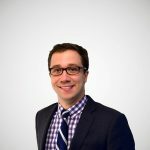 The state and local deduction is exactly one of those tax provisions that allows wealthy individuals to reduce their federal tax liability. The state and local tax deduction is essentially a subsidy from the federal government to high-income local and state governments. 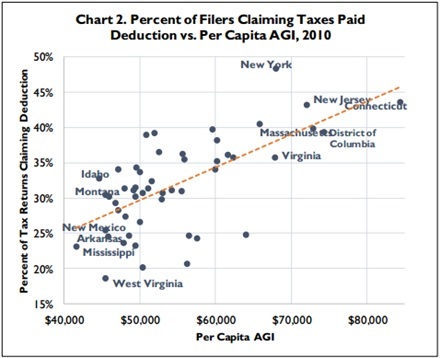 You can see this in the following chart from Scott Hodge’s testimony that shows that states with higher income per capita have a larger percent of individuals claiming the deduction. States like New Jersey, D.C., New York and Connecticut, all with relatively high incomes, enjoy a larger number of state and local deductions. Even more, if you look at distribution by tax payer, the benefits are mostly enjoyed by the rich. 55 percent of the benefits go to those making $200,000 dollars or more a year.